Be alright (the disc golf day) | I am crowned with flowers. ← I’m sorry, what just happened? I’d never tried disc golf before this weekend, and let me tell you, it’s a lot harder than it looks. The rules are similar to golf. You have a certain number of throws per hole, and at the end of the game, the person with the lowest score wins. 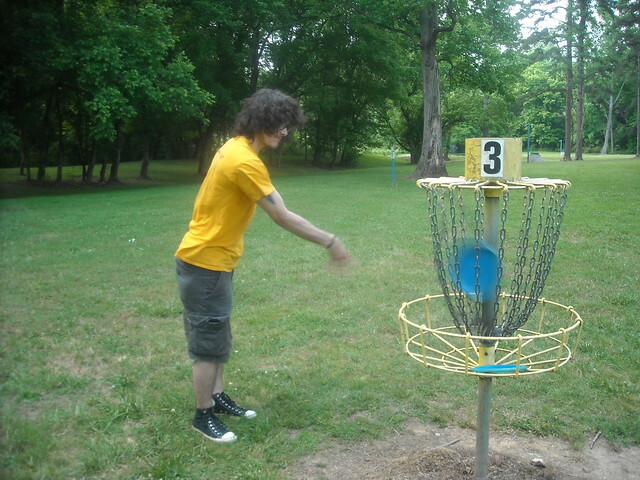 Instead of hitting a ball with a club into a hole, you throw a small Frisbee into a basket. It’s not as easy as it sounds. Honestly, it’s a bit hipster. I mean, there are different styles and weights of discs. We even saw one serious player carrying a case full of discs. Really, dude? You’re going to drag your elementary-school kid around the park to watch you throw your collection of special discs at a basket? I shake my head at your poor parenting choices. Poor, young, bored kid. The overall goal, generally achieved from further away. 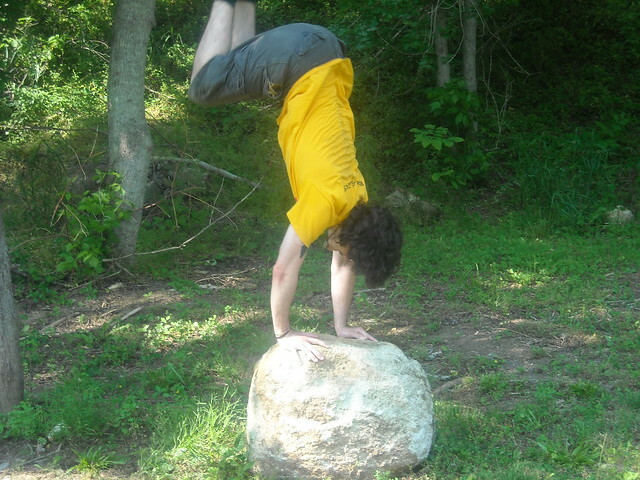 Jon wasn’t bad at all, but he was much too busy climbing on things and showing off his acrobatic skills. After we finished “playing”, or throwing discs with no apparent goal or reason for throwing, we decided to explore the park. My favorite part of the whole place is the bridge. When you walk up to it, it looks like this. 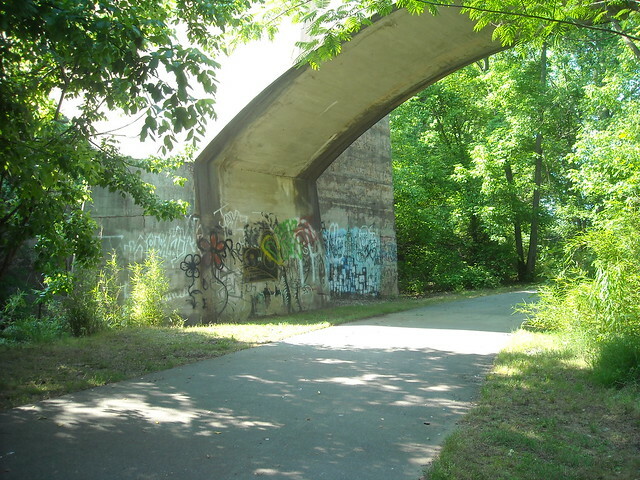 It just looks like a nondescript bridge. But, when you climb around the bridge to the other side, you find this. 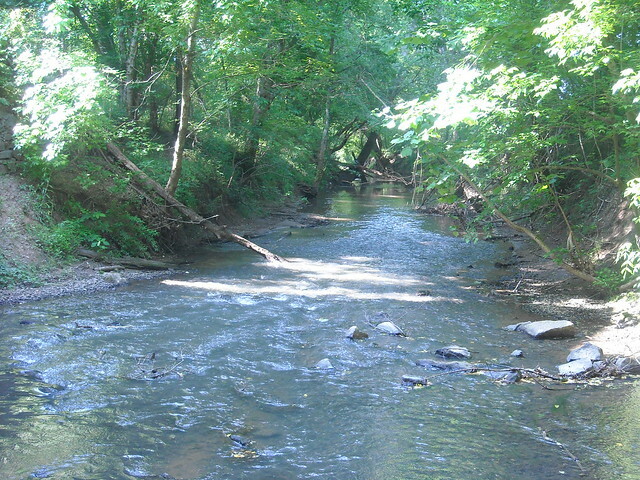 The view from behind the bridge. 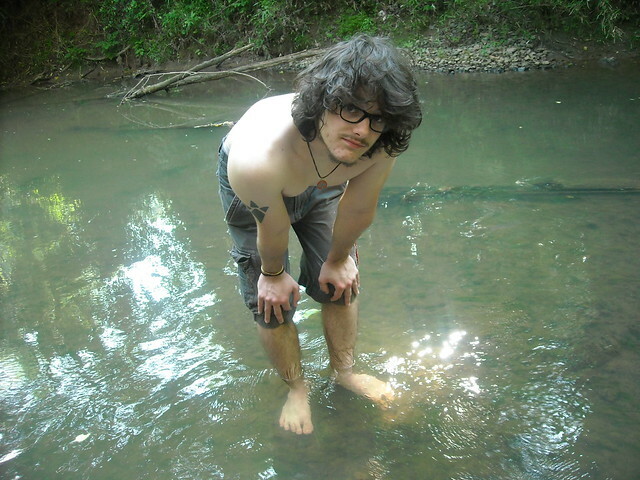 The water is very shallow, so we naturally took off our shoes and waded around. I mean, what else are you supposed to do here? There was a whole family exploring the water too, but I’m not enough of a creeper to take pictures of someone else’s adventures, especially not when there are children involved. He looks guilty, like I caught him doing something horrible. 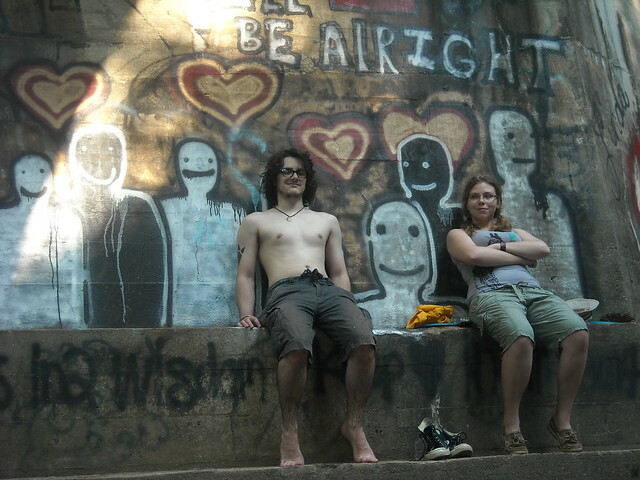 After we finished playing in the water like hippies, Jon and Faron posed for pictures with the graffiti like the hipsters they are. Just like the graffiti, they'll be alright. After the park had ceased to amuse us, we ate dinner at Faron’s and jammed out on her collection of instruments. The three of us are going to make beautiful music together.